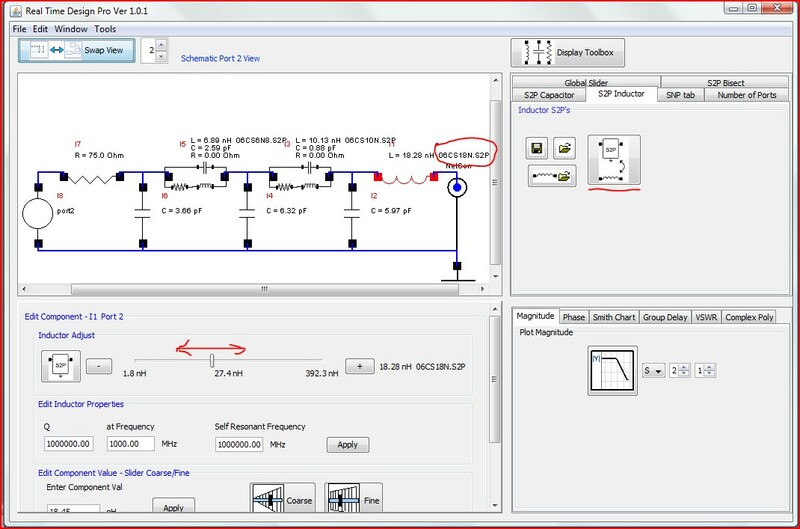 Once you have completed the loading and interpolating of a library, you can have the tool find and replace the inductors or capacitors in your schematic with equivalent from the library. To do this click the highlighted button. After which notice that the file associated with the inductor replaced appears next to the approximate value of that library element and that the slider represents the entire library sorted by value.